Do you know about all the Google tools? Want to design your do-it-yourself project ? Google SketchUp (free) is an easy-to-learn 3D modeling program that enables you to create 3D models of houses, sheds, decks, home additions, woodworking projects - even space ships. After you’ve built your models, you can place them in Google Earth, post them to the 3D Warehouse, or print hard copies. 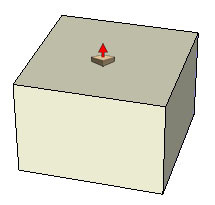 Click on a shape and push or pull it to create your 3D geometry. Experiment with color and texture on your model. Cast a shadow to see where the sun falls as you model. Select from thousands of pre-drawn components. Try the push/pull tool that lets you expand the volume of geometry in your models. Select the Push/Pull Tool. The cursor will change to a 3D rectangle with an up arrow. Click on the face that you want to expand or decrease. Move the cursor to create (or decrease) volume. You can even create a measuring tape to measure your designs. Click and hold on the starting point of the distance you wish to measure. Drag the mouse to the endpoint of the measurement. Release the mouse to obtain a measurement.